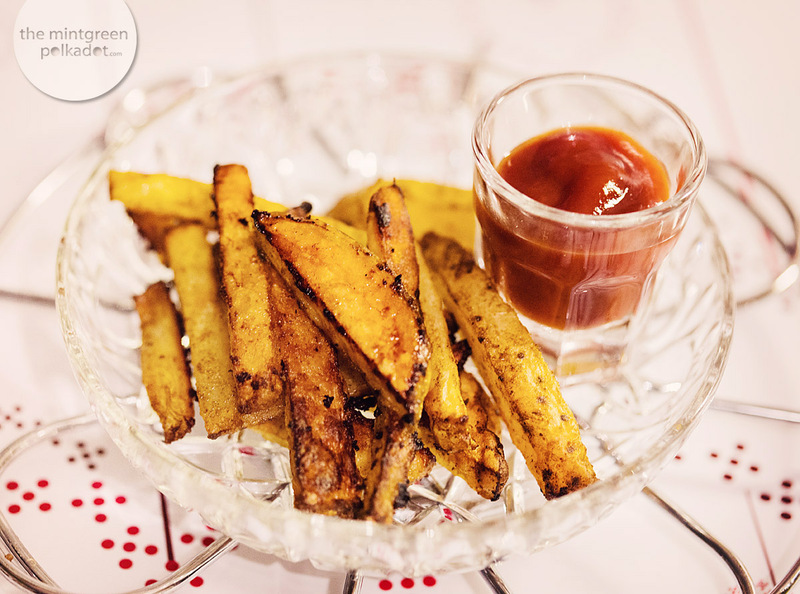 My Hubby & me – we just LOVE Potatoes in all sorts & forms … lately we really enjoy homemade oven baked potatoe fries. 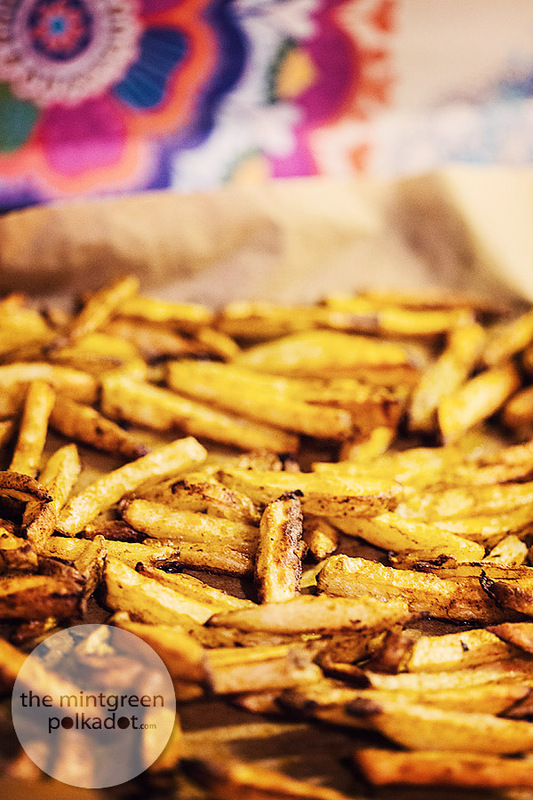 They are easy & fast to make and served with a large salad really super-yummy … and compared to fried potatoe fries they contain wayyyy less fat and – if you ask me – they taste even better and they’re super crunchy … love them! 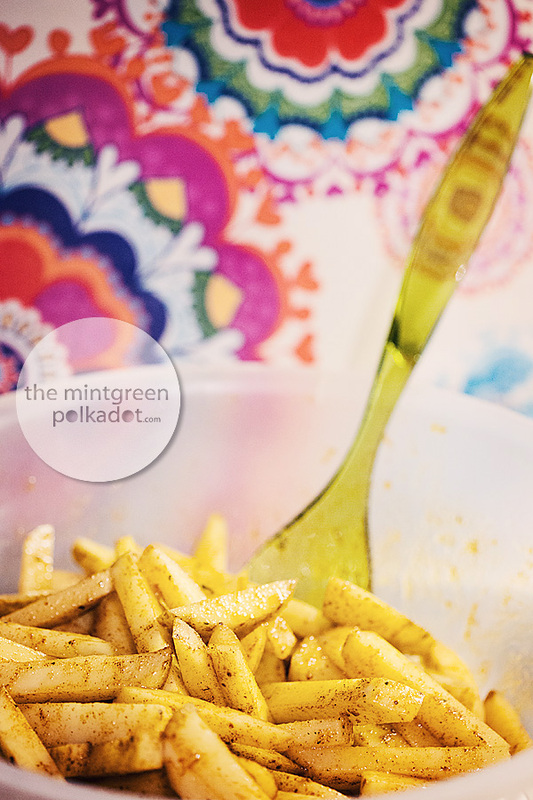 Here’s how to make them … it only takes 10 minutes preparation time + approx. 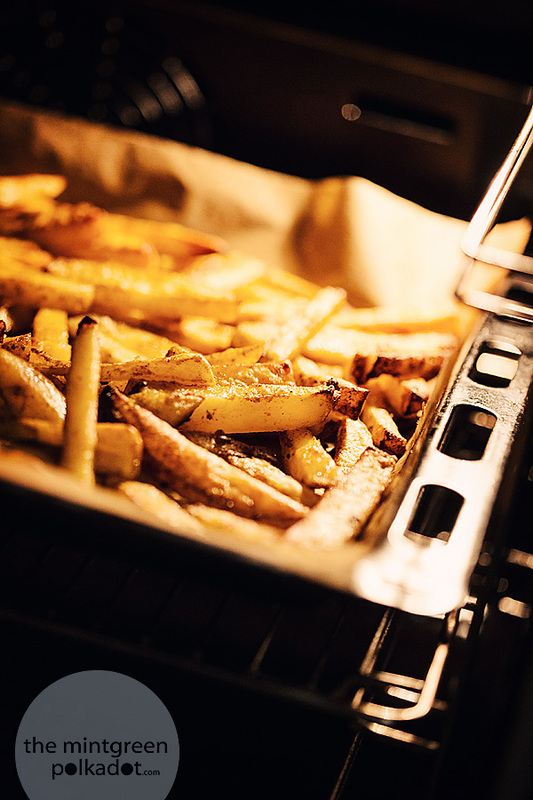 10 minutes in the oven … if you like potatoes and fries you should definitely give them a try! Great idea. So simple and easy to do ! Done them today for lunch. So simple and easy. Tasty too. 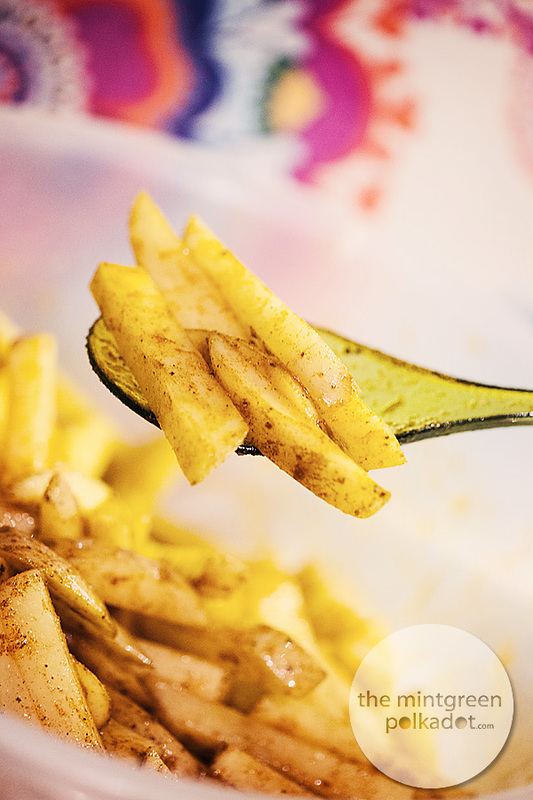 No as oily as it would be if cooked into a fry pan or fryer. Thanks.